Posted on January 15, 2018 January 19, 2018 by Richard S.
The entire process of relocation, no matter size and distance, takes up a certain amount of time and effort. And so, you need to ensure that your move goes by with ease and the minimal amount of stress. Otherwise, you will end up investing too much and think of it all as a negative experience. Now, the best way to accomplish this is with the help of professional Kuwait movers. But that is not the end of it. You also need to make sure that the services you pay for will contribute as much as possible. So other than the actual task of relocation, you should also look into the prospect of professional packers. It might surprise you how much easier your move will be with such help. Learn how professional packers can best contribute to your relocation being stress-free. People often tend to underestimate the task of packing. They disregard it as something that one can do in a single quick sweep. However, it is so much more than that. There are things to consider before and during the packing process. You need to plan out your packing, acquire packing supplies and remember to pack and label everything. Otherwise, you risk complications during the later parts of the relocation process. Not to mention that all of this can take up a lot of your time and effort, that can be better invested into other matters. With the help of professional packers, however, you need not trouble yourself with such concerns. As trained and experienced movers, they are aware of what it takes for a relocation to go smoothly. As a result, you can focus on the other aspects of the move. But what is it that you want to get from the packing services? What are the advantages that expert packers can bring to make your move simpler? In order to best prepare for the task of packing, you first need to know what it is you are packing. And so, even if you are packing on your own, look to make an inventory first. It not only shows good planning and organizational skills, but it is also helpful to both you and the movers. Plus, you will be able to keep track of the items during the loading and once everything has been unpacked. Even if you don’t find the time to make an inventory list, the packers you hire will do it. It helps them keep track and stay organized throughout the move. It is important to list everything in details, so that every item finds its place in labeled boxes. Why waste time in search of packing supplies when someone can provide you with the same? 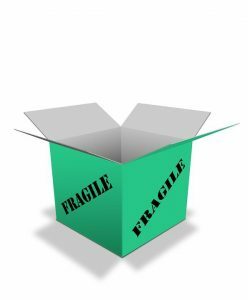 Most moving and packing companies already have quality packing materials at their disposal. Some are even willing to sell that material in case you opt for self-packing. And this can prove useful when it comes to local moves. However, when we talk about the challenge of international relocation, you need to ensure that everything is safe and secure. And so, packing on your own can endanger the safety of your belongings. This is when the assistance of professional packers is appreciated. They can make the best use of the packing supplies they have and thus ensure that everything is packed tight. Specialized items: pianos, pool tables, industrial equipment, hardware etc. Packing costs usually depend on the charge rate you negotiate. Hourly rate packing fees – this is something you will most commonly encounter with professional local relocation. The thing to remember here is that the more packers you need, the more it’ll cost you. However, some companies have a policy to lower the hourly rate as the number of packers grows. 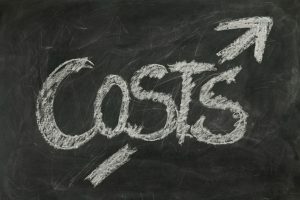 Flat-rate packing fee – most often applied with long distance move. The packing service cost is pre-determined based on the weight and volume of the belongings. In these situations, you would normally have a professional packing calculation, based on the number of rooms and packers needed. Pack by ‘’room’’ – Larger rooms usually require a bit more consideration. Room-to-room packing will keep you organized and make your move much more simple. Sort out what you’re packing and create categories as you go along. By hiring professional packers, you will make sure that your valuables are kept safe and secure. Pack by degree of “fragile” – these would be dishware, glasses, decorative bowls, vases etc. Use as many boxes as you need to create easy-to-lift loads. 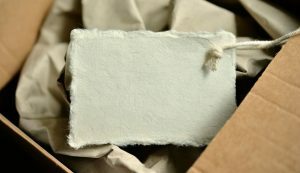 When it comes to safe packaging, you can use crumpled newspaper, bubble wrap or corrugated cardboard. Each of these materials will help safeguard and prevent breakage and any other type of damage. Pack bottles and medications together and keep them separate from other belongings. This will help prevent accidental spills or loss of any medications. Tools, painting equipment and cleaning chemicals should all be packed together in clearly marked boxes. Assign moving boxes – which can make the move easier and keeping individual family members’ items together. Easiest way would be using colored boxes (one color for each member). Everyone has different needs and priorities, so the items they decide to pack will vary. The important thing is to sit them down and provide packing instructions so as to avoid complications. Once you move, every family member will be very glad that everything that belongs to them is in their own moving boxes. *Take note that all that we mentioned here can easily apply to storage packing needs.